If you're looking for authentic video footage & animation, then, Mixkit is one of the best options. In this new website, you will find dozens of clips that are licensed for free. 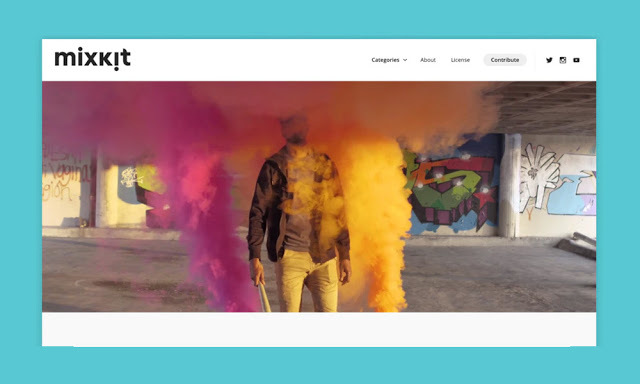 Mixkit is a curated gallery of high-quality videos and animation, made by some of the world’s most talented creators, with all content licensed for free. Mixkit is brought to you by Envato, the company behind some of the world’s leading marketplaces for creative assets and creative people. The library is full of hand selected videos and animations. They are in a perfect high-resolution item to use in your personal or commercial projects. Mixkit is updating their library with 10 new free videos each week.